Many people know that having life insurance to replace a family member's income is important, however few people realize that a stay-at-home spouse needs life insurance as well. Spouse life insurance pays to replace your spouse's income and/or the services that they provided during his or her life. If your spouse provides childcare, transportation, car care, cleaning, home improvement or other services, having this coverage will ensure that your family will still have access to those services. 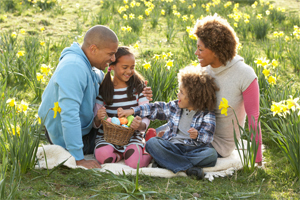 National Agents Alliance offers a variety of products, ranging from coverage for temporary needs while the children are at home, to lifetime protection so your family can maintain their standard of living after your spouse is gone. These products can also provide living benefits - such as cash value - that are accessible while your spouse is still living. Many policies protect against a terminal illness by enabling death benefit access during the insured's life if diagnosed with a terminal illness. It's important to have insurance for your spouse, but it is equally important for you to have coverage. This way, you will both be protected with life insurance. This coverage is essential because you and your family depend on your spouse emotionally and financially. Your family may be financially burdened if your spouse unexpectedly passes, whether your spouse is employed outside of the home or not. With funeral expenses, lost income and/or services at home, you won't have much time to grieve for your loss before the bills start piling up. With this coverage provided by NAA Life, you can ensure that your family will be taken care of if something unexpected happens. You can learn more about spouse life insurance and get a free quote by filling out the form on this page or by calling our toll-free number. Our team of highly skilled life insurance specialists will work with you to develop a plan that fits your family's budget and coverage needs.